I am trying to remove this door handle and latch, but I cannot figure out how to. I have removed all the screws, and I think the thing still holding it in place is the lock. The lock appears to have one side that should screw off, but it doesn't budge. There is little purchase on the lock "screw", though I managed to get some with a 50 pence piece and some pliers - the 50p broke. It is definitely the privacy lock that's holding it in place, there's a metal rod that connects the outside, flat head part to the inside knob. If you don't want to re-use the fixture then just saw through it using a hacksaw, dremel or angle grinder (be careful to protect the door from the sparks. If you do want to keep the fixture then you've got to get the screw out using penetrating fluid and a lot of elbow grease. I'd try getting a screwdriver in there and then pounding on it with a hammer to loosen it up and make my own flat head groove, however by the time you're done you may damage it so much you need to replace it anyway. Not the answer you're looking for? Browse other questions tagged doors lock door-frame or ask your own question. 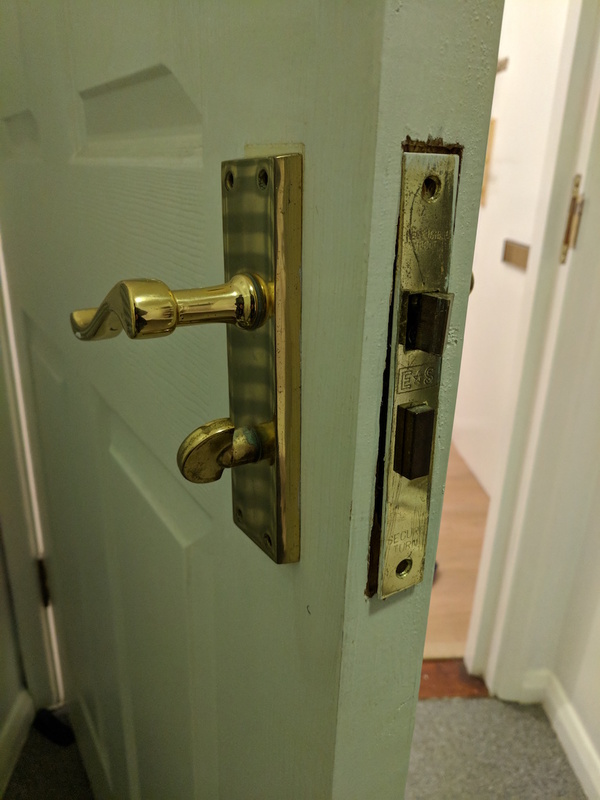 How can I remove a Mortise Lock and deadbolt from a door? How do I remove this doorknob? 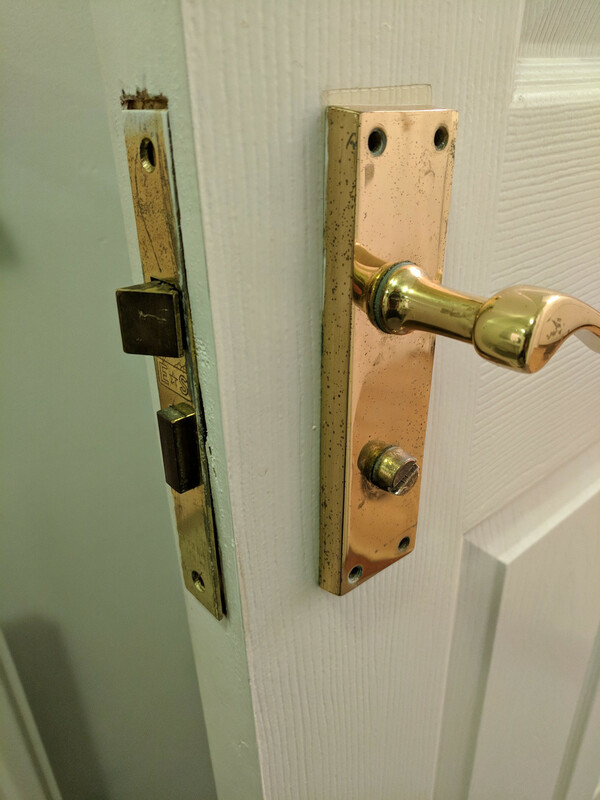 How to remove this door knob on the mortise lockset? Is it possible to replace the lock on this door that has been painted on? Is this door striker and lock safe? How to remove Schlage lever mechanism?